Season is great and the beaches are so inviting. 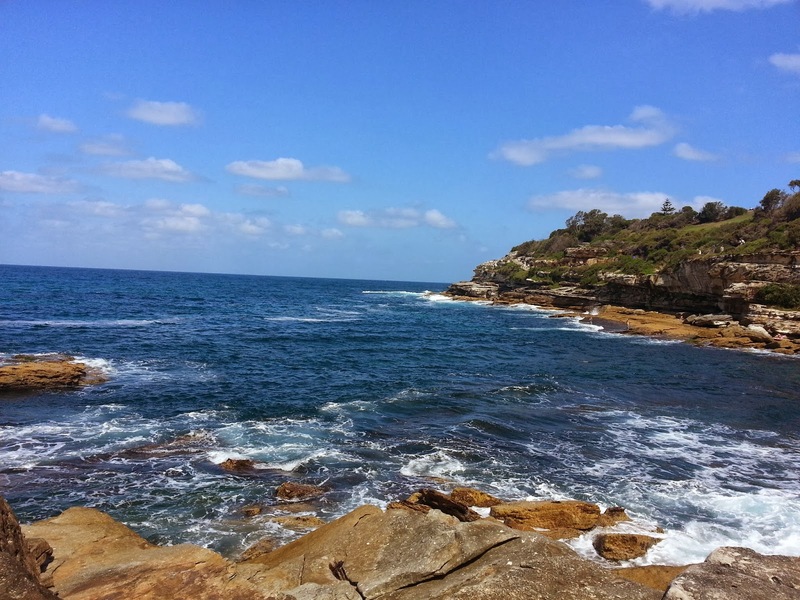 So we decided to take this Bondi-Coogee coastal walk which goes through some of the most famous and beautiful beaches of Sydney. The walk starts from Bondi beach which is easily accessible by public transport - a train till Bondi junction and a short bus ride from there to the beach. We reached Bondi by 9am in the morning. It was nice and calm and after a bit of fooling around on the beach, we started the walk which is well defined by sign boards. 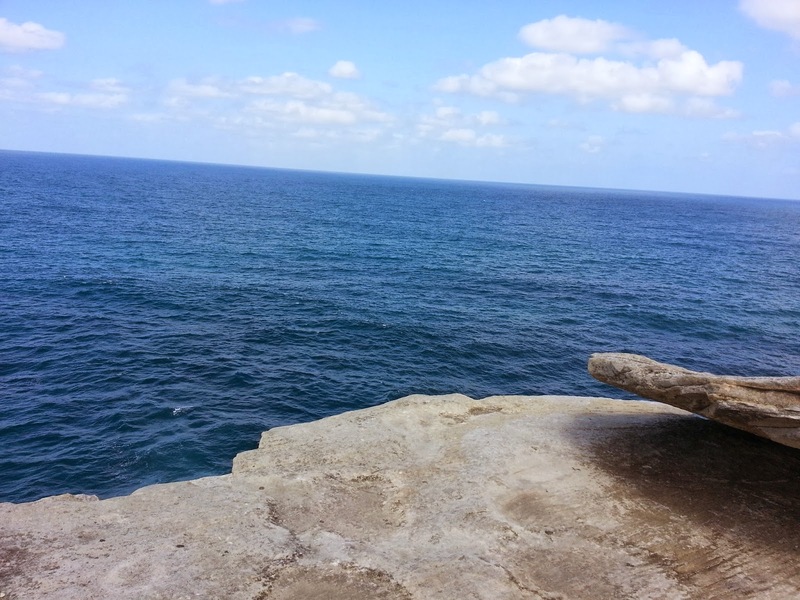 During the spring season each year around September, the first part of this walk from Bondi to Tamarama hosts a seaside gallery called Sculptures by the sea. It's one more reason to head to the beaches and take this nice walk. 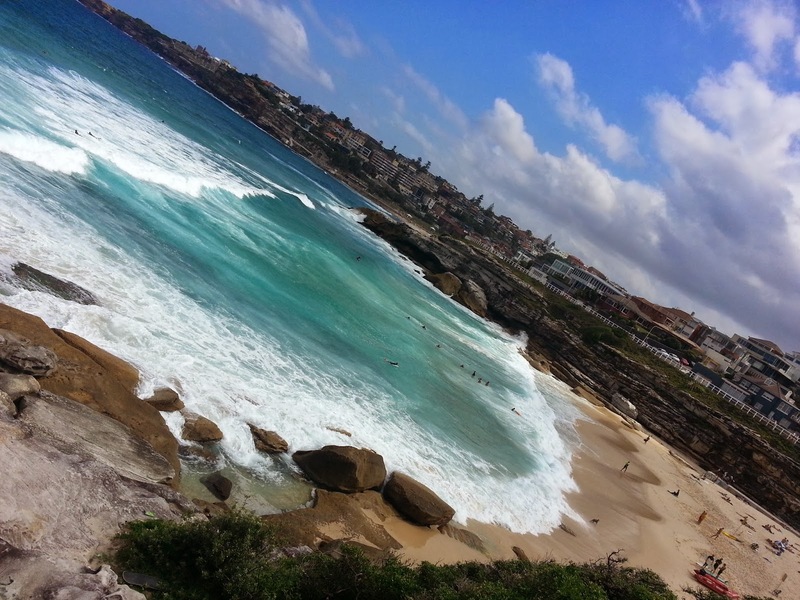 From Bondi the route goes to Tamarama - another nice beach followed by yet another beach - Bronte. From Bronte, there are steep steps leading from the rock pool towards the clifftop broad walk. 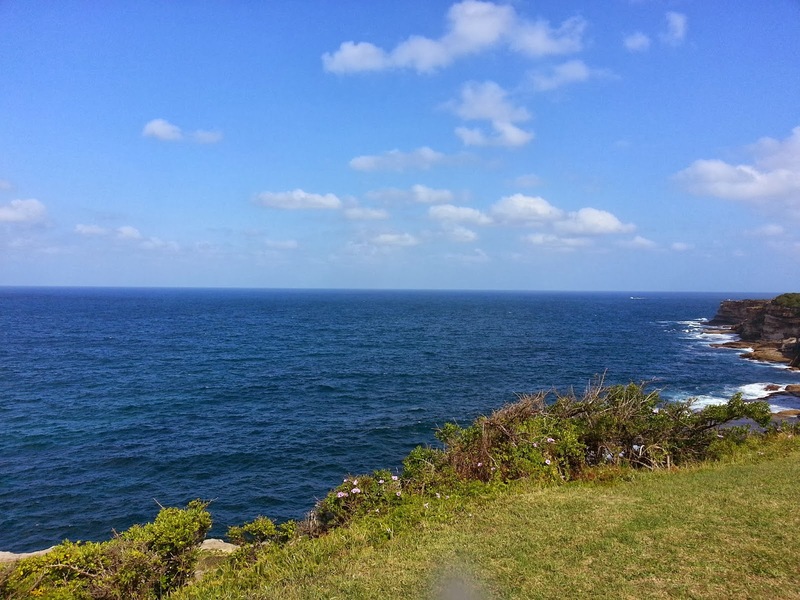 From here you get some of the most stunning views of the Bondi-Tamarama-Bronte section. 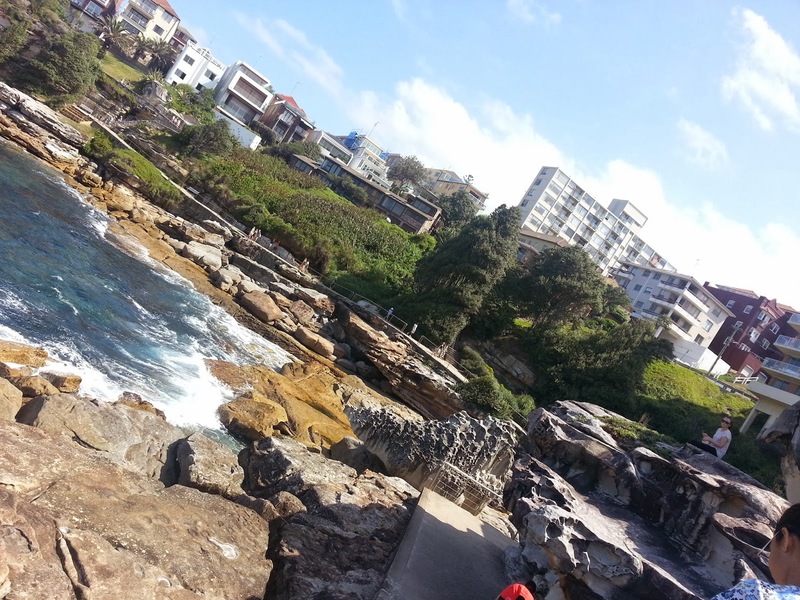 From the cliff top, the walk goes via the world's most famous cemetery - Waverly Cemetery. The views from here are simply stunning. After the Waverly cemetery, is the Clovely beach - a nice little sheltered beach. 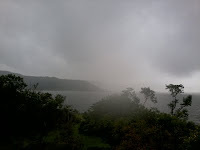 From Clovely, there is another section of steep steps, which goes via the Gordon bay. 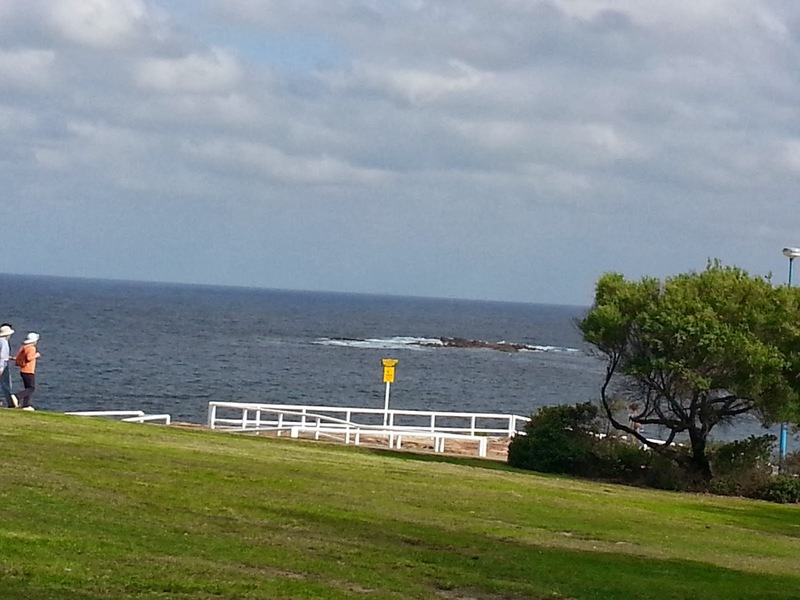 From Gordon bay, the route goes through several parks and reserves before arriving at the Coogee beach. Just before Coogee beach, if you look out at the sea, you can see the weeding cake island - so called because it looks like a wedding cake with the water breakers on top resembling the icing. Coogee beach is a nice place with loads of cafe's and rest areas. Best part, you can catch a bus ride directly to the Bondi junction.